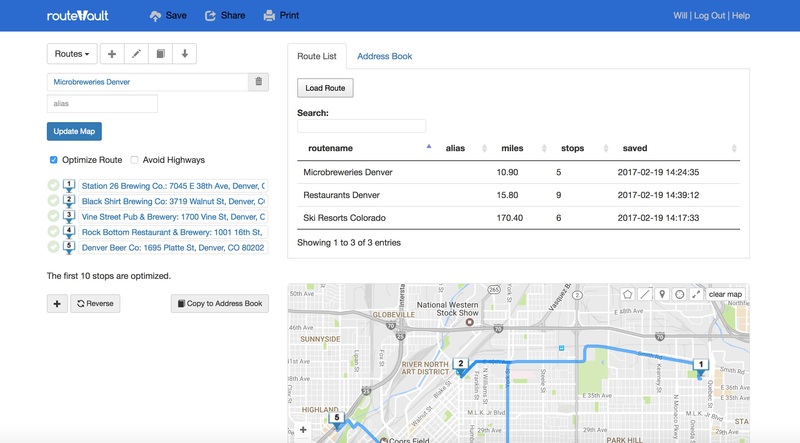 Managing day-to-day routes involves much more than simply optimizing the stops. 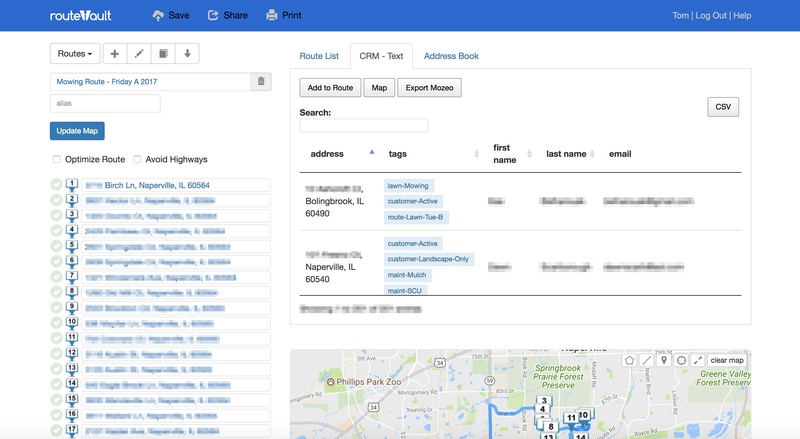 There's an inherent need to capture related data such as service details, job notes, client information, and driver assignment. Routevault offers a clean and efficient way to capture and reference this data in one easy-to-use tool. Manage important client & service information. Optimized for online and mobile use. 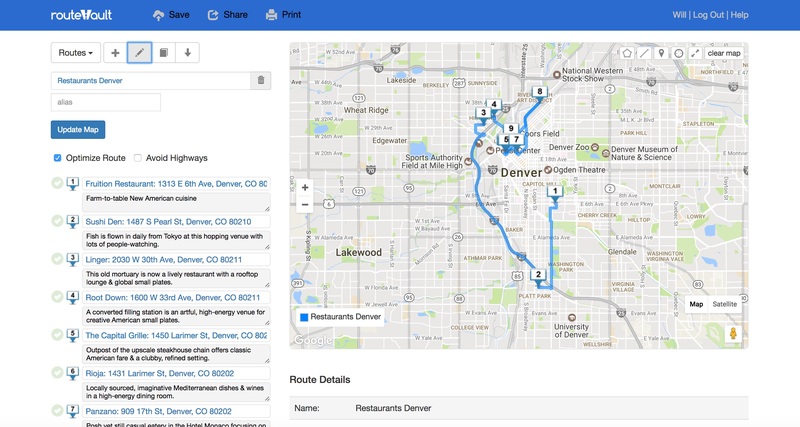 Share routes with your drivers - print, text, or email. Add important notes related to a stop on the route. 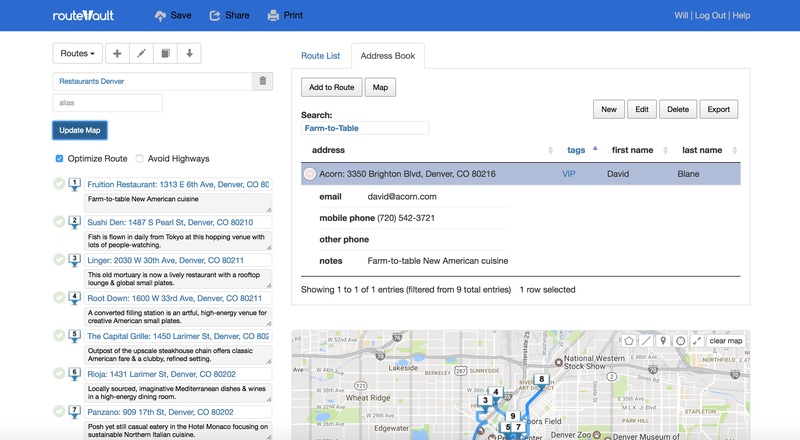 Easily analyze hundreds of addresses and quickly build routes based on location and/or service criteria. Drag-and-drop the route order or reverse the entire route. 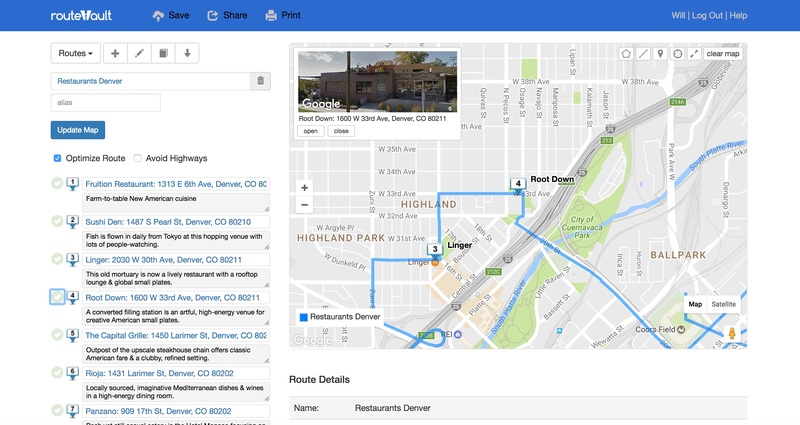 Add latitude & longitude coordinates in support of new neighborhoods and businesses. Orgranize up to 30 stops per route from start-to-finish. Polygon and line tools provide square footage and distance measurements. 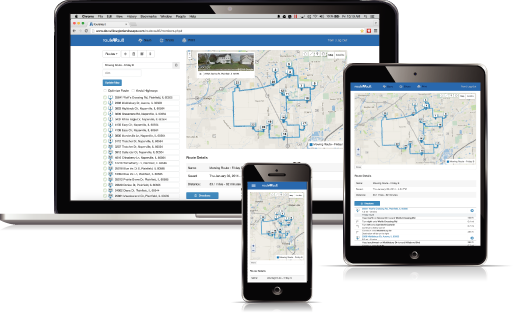 Capture and manage important client information, quickly search and locate route data based on user-defined criteria such as address, city, zipcode, driver, job type, or date. Quickly access native voice-guided navigation directly from your smart phone. 2014-2019 © Designed and built by Willow Glen Lawn & Landscape Inc.